The Diesel Railcar (DRC) Special Express Train 7 is currently the fastest way to travel from Bangkok to Chiang Mai by train, taking just 11 hours to cover the 750 Kilometres trip (compared to 13 - 14 hours on the overnight sleeper services). It is also the only train that travels through the daytime (apart from the last hour or so), so if you want to take in the sights of the Thai countryside, this is the train you should catch. 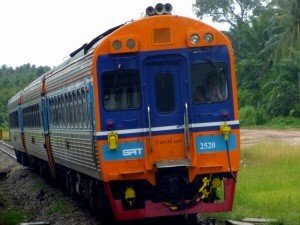 This train originates from Bangkok's main railway station at Hua Lamphong. 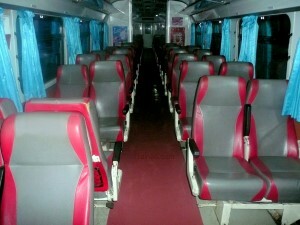 This sprinter train service to Chiang Mai comprises of just a few, 2nd Class - Air conditioned - seat carriages. During the journey you will be served meals and drinks (included in the price) by the onboard steward / stewardess. You may also want to take your own food and drink, as unlike most other trains in Thailand, you rarely get any hawkers on the train selling their wares (apart from longer stops at stations). As these are currently the fastest trains in Thailand, they are also the most expensive for seats (but still very cheap compared to western train ticket prices). Tickets for this service go on sale 90 days in advance of the departure date and advance booking on this route is highly advised as it is the most popular in Thailand. 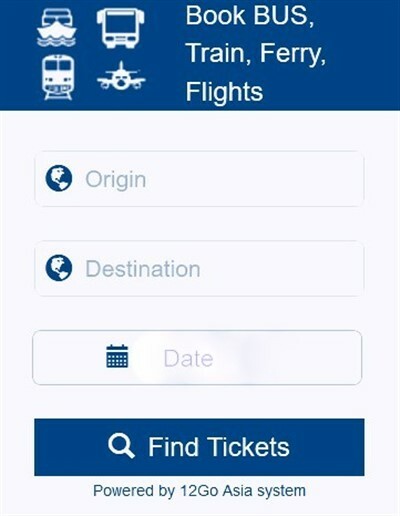 If you are already in Thailand, you can book your seats from any ticket counter at any main train station within the country. If you are outside Thailand and want to make an advanced booking, you should book your tickets online. This costs a little more, but is very convenient, saving you a journey to the station just to buy tickets, when you arrive in Thailand.